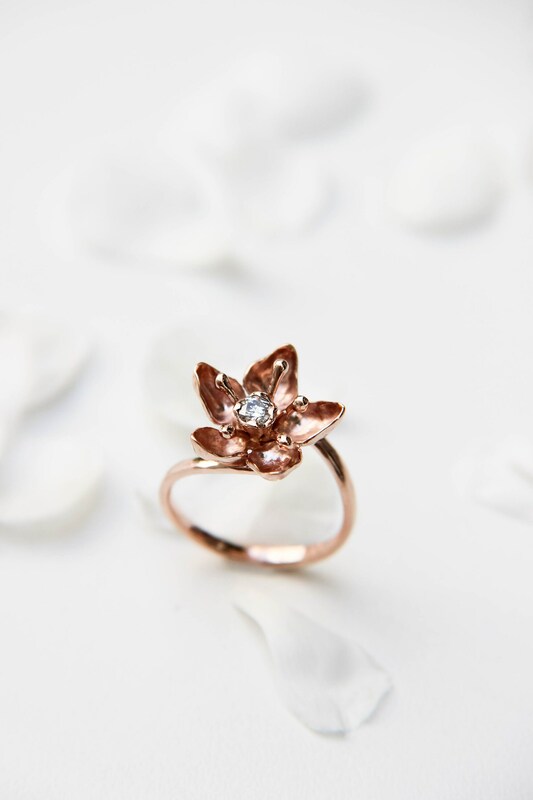 This beautiful apple blossom ring is an ideal romantic love gift for the special woman in your life. 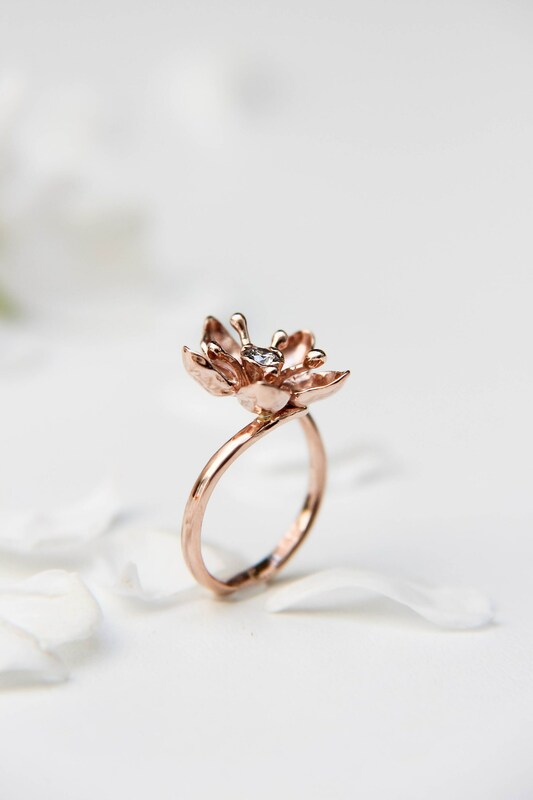 Unique and delicate ring is made of rose gold and adorned with natural 0,1 ct round cut diamond. 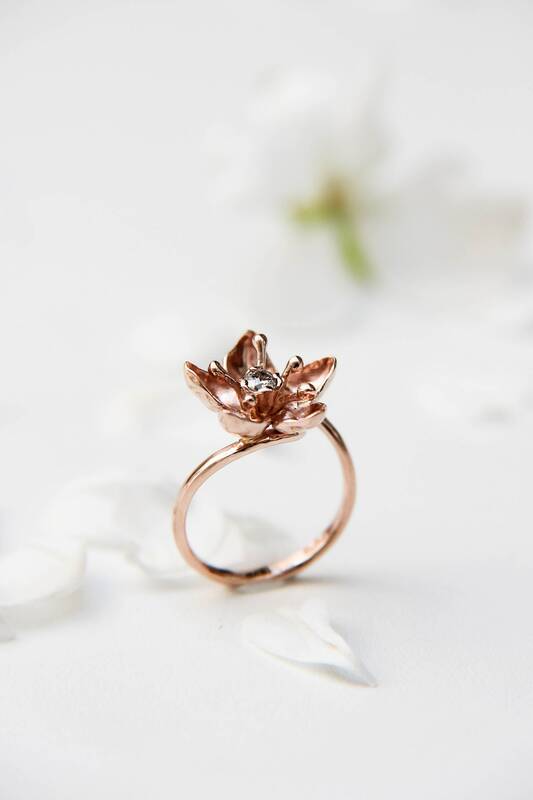 If you are looking for a proposal or engagement ring or just very memorable gift this white gold ring is the best choice. 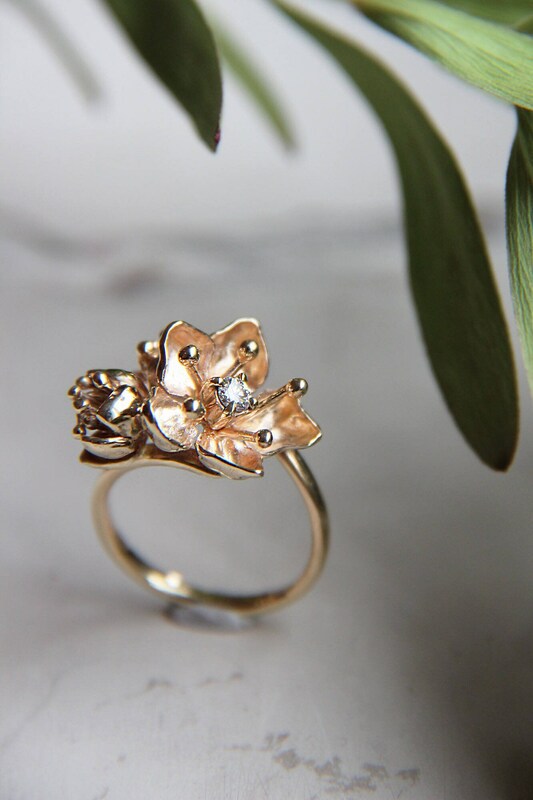 Gold flower ring is hand-sculpted from solid 14K gold sheet. 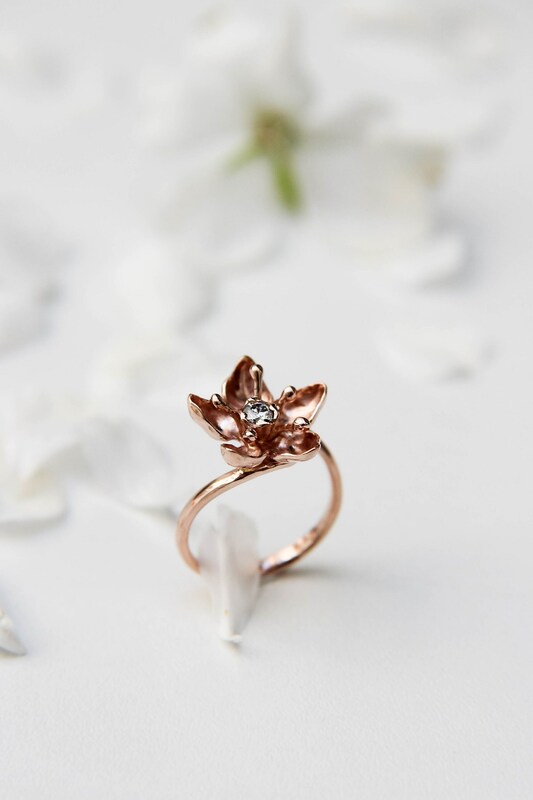 This flower engagement ring features the botanical design with one amazingly detailed flower which look very delicate and gentle. 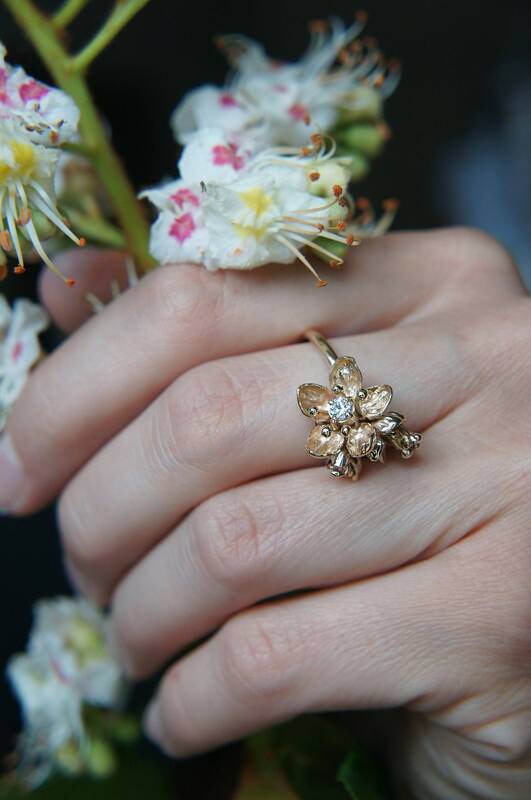 Fine handwork makes this piece of jewelry to an art object. 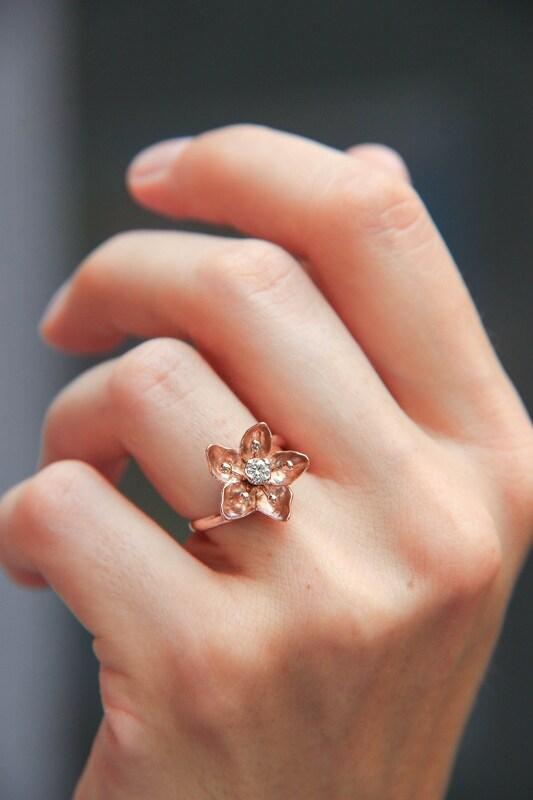 Just have a look on photos and see how detailed it is. 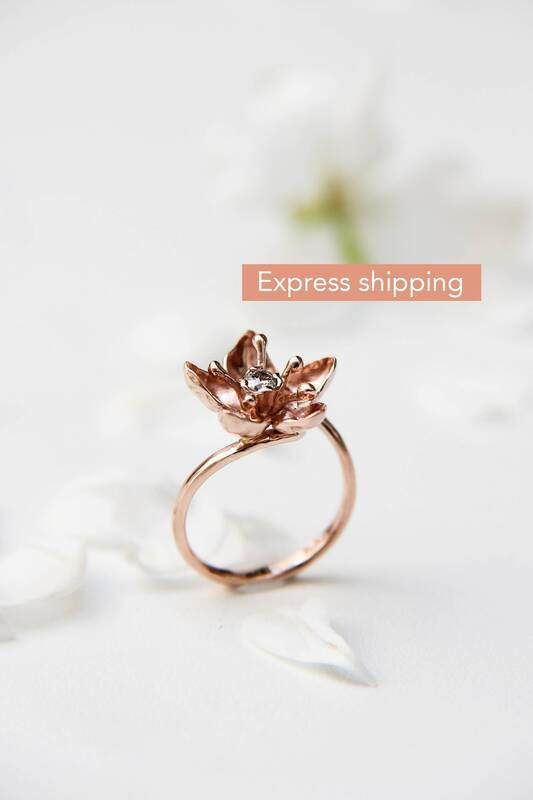 - choose ring size when placing your order. 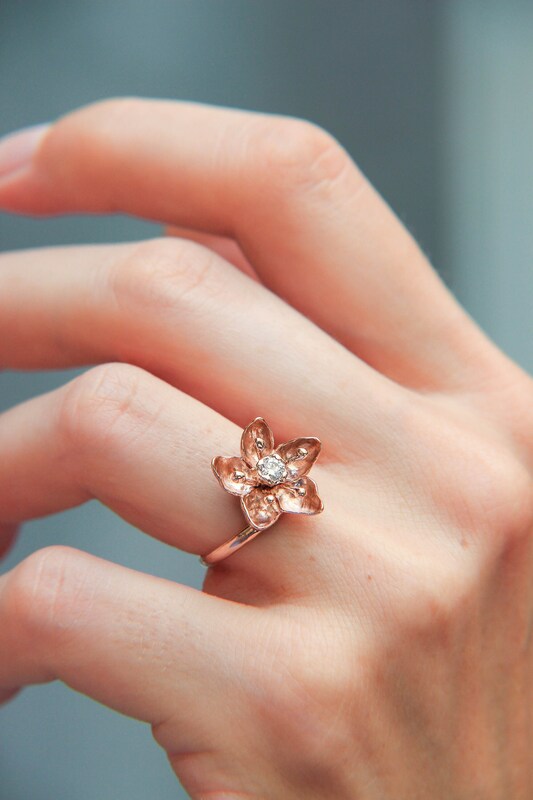 - available in rose (pictured), yellow or rhodium plated white gold. Diamond: natural, 3 mm in diameter, 0,1 ct, VS clarity. 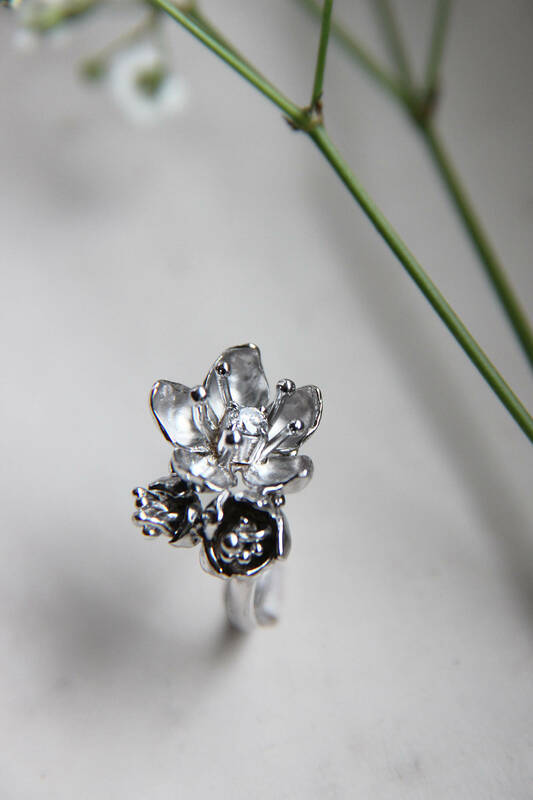 Other sizes/quality diamonds are available upon request.